Passers by Members of N.D.L. Sound Effects R.L. Timms, Wellingborough Rd. 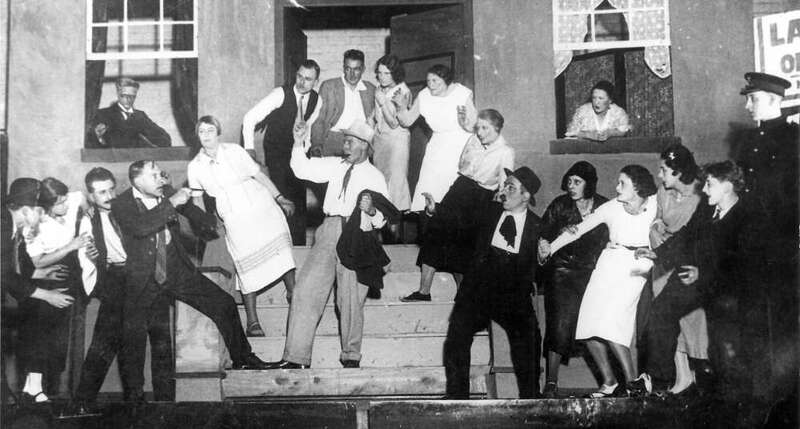 The Northampton Town and County Drama League was established in November 1931. 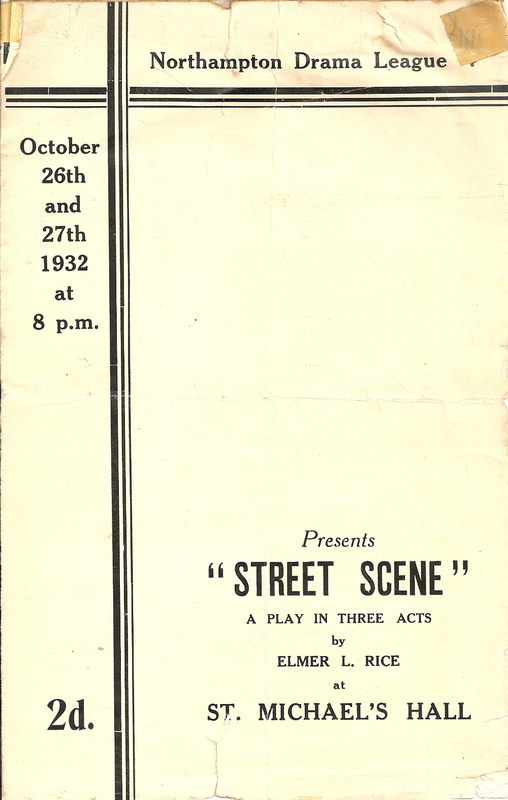 Street Scene was its first production. The play, by the American writer Elmer Rice, first opened at the Playhouse Theatre, New York, in January 1929 and it won Rice a Pulitzer Prize for Drama. It follows the lives of a number of people living in a New York neighbourhood. The Northampton Drama League's production was staged a year after the film version, which was adapted by Rice, produced by Samuel Goldwyn and directed by King Vidor. A Broadway musical version, with music by Kurt Weill, followed in 1946. The Northampton Drama League was later known as the Northampton Drama Club and then renamed Masque Theatre.